"Delicate, with a lively array of bright dried mango, date and dried apricot flavors that feature plenty of smoky notes. Features notes of white chocolate, fruitcake and honey on the rich finish. Drink now." "Complex aromas of toffee, roasted nuts, lead pencil, orange peel and caraway seed. Intensely flavored fruit is silky but nicely delineated; offers a fresh flavor of orange peel. Not at all thick, but brisk and vibrant. Finishes clean and long, with hints of smoked nuts and marzipan. This has far stronger material than the 10-Year-Old, which seemed clumsy and dull in comparison." 20 years indicates and average age - this Aged Tawny Port is a blend of older wines, which offer complexity and younger wines, which bring fresh fruit flavors and vibrancy. During their long maturing period in oak casks, Aged Tawnies undergo subtle color changes: the deep red hue which characterizes Port's youth gradually gives way to a paler golden amber color. Dow's is known for its characteristically drier house style. This 20 Year has a full, nutty bouquet, concentrated, citrus, almond and caramel notes on the palate and a lingering finish. 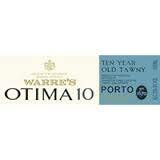 Many consider the 20 Year to be the perfect blend of complexity and vibrant fruit when it comes to Aged Tawny.